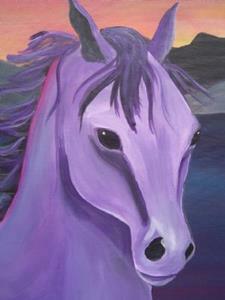 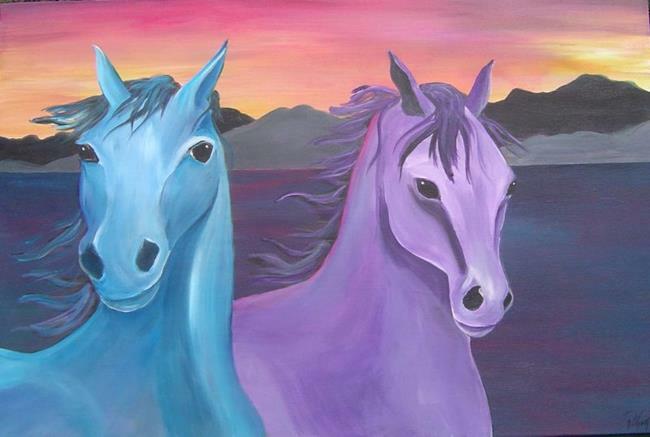 This is a vivid painting of two colorful horses at sunset. 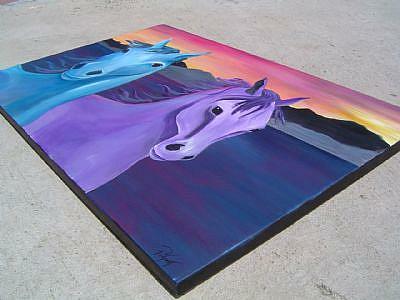 The painting is executed on gallery stretched canvase, rendered with acrylic paints. 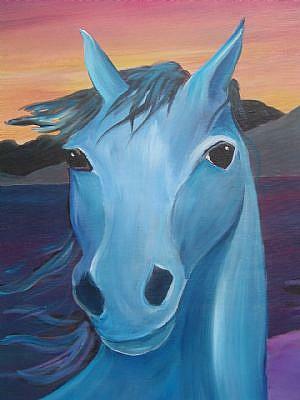 This painting was created after riding horses on the beach. Horses are such graceful, elegant and powerful creatures, I deceided to depict them in strong colors to emphasize their strength.